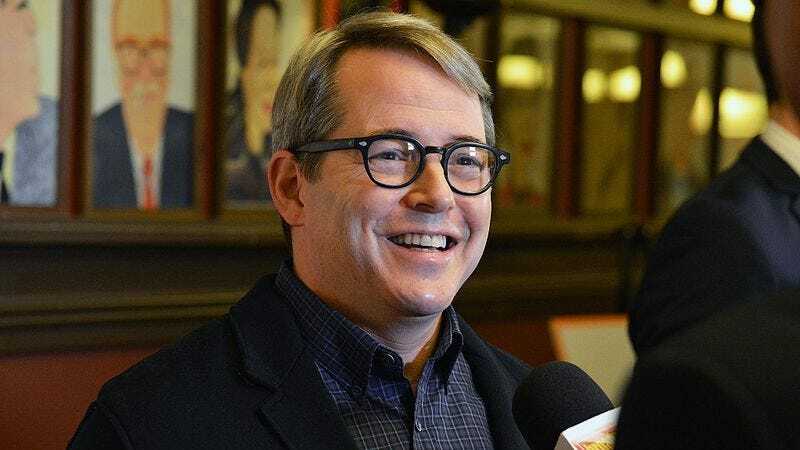 Matthew Broderick has made a multi-decade career out of his nice-guy persona, but he’ll have to put in some extra effort if he’s going to charm the pants off of viewers of his new TV gig. According to a press release sent out this afternoon by FX, Broderick is set to co-star as disgraced FEMA chief Michael “heckuva job, Brownie” Brown on the second season of American Crime Story, titled, appropriately, Katrina: American Crime Story. The real-life Brown resigned from his post as head of FEMA after becoming the face of the agency’s epic screw-up of Hurricane Katrina relief efforts. Most infamously, then-president George W. Bush told him, “Brownie, you’re doing a heck of a job,” while touring the rubble of a ruined New Orleans, a sentiment that was, to put it mildly, not shared by the thousands of people trapped with no food or water at the Superdome at the time. According to NBC News, the Brown is now a conservative radio talk-show host in Denver, because of course he is. American Crime Story has yet to set a return date.